Heather Hassell's degenerative disk disease flared up last January, making everyday life full of dizzying debilitating pain. "I was in extreme pain," she said. "I basically lived on drugs for almost a year." The mother of five from Alexandria had surgery in September to replace a disk in her neck which was causing an indentation in her spine. When most doctors do these kinds of procedures, strong opioids are used in recovery – sometimes for weeks after the surgery. However, Dr. Jae Lim is using a different approach. 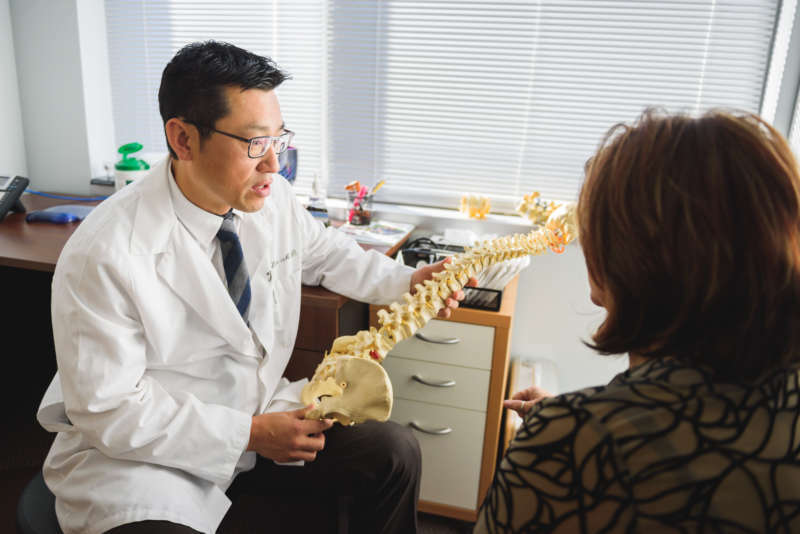 Lim is the director of neurosurgery trauma at Reston Hospital Center and his goal is to heal patients without the risk of opioid addiction by using a technique known as ERAS or enhanced recovery after surgery. ERAS uses a combination of pre- and post-operation methods, including a cocktail of oral pills such as Tylenol and muscle relaxers. Dr. Lim says patients have less pain when they wake up and don't have to rely on narcotics through an IV. But ERAS doesn't eliminate the need for opioids totally. "We still give them some pain pills, except we don't give them nearly as many, and it's a weaker medication and they tend to come off of it much earlier," said Dr. Lim. In Fairfax County in 2016, opioids killed more people than guns and car accidents. The same year, Fairfax ranked first in opioid deaths in the entire commonwealth. Hassell says after her artificial disk replacement with the ERAS technique, she felt better immediately. "I remember waking up and being like I can feel my hands," Hassell said. "I can squeeze. I took my husband's hand. I'm like, 'Look at that. I can squeeze your hand. I have strength.'" She says she was also grateful to have less risk of opioid addiction. "It's a blessing," said Hassell. "This is what the medical field should be about. Instead of throwing these things at you that doesn't fix anything or solve anything, it actually solves the problem." Read the original article on FOX 5 DC.